Register now to be first on the List for a newly constructed home! Life in Southern California may not be punctuated by drastic changes of seasons – just the way its residents like it – but that doesn’t mean there are no changes to look forward to. 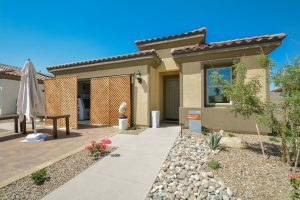 The Summer 2018 officially marked home construction start at Del Webb Rancho Mirage, a new 55+, active adult community located in the city of Rancho Mirage. Register today to get your first hand tour of the new floor plans, amenities and the latest community development plans! The gated neighborhood, the main entry for which will be from the north side of Dinah Shore Drive, will offer Spanish and Tuscan-style homes in ten unique floor plans, all in single-story layouts. Each floor plan takes into account the unique desires of experienced homebuyers, focusing on comfortable master suites and guest accommodations as well as inviting, versatile social spaces. Range of Home Sizes 1,438± Sq. Ft. – 2,726± Sq. Ft.
Customization – not only of finishes, but also layouts and features – ensures each new resident settles into a home that suits his or her individual needs and preferences. Homes range in size from the 2-bedroom, 1,438± square foot Getaway floor plan to the Voyage, a 3-bedroom, 2,726± square foot floor plan. Two car garages are standard for each home type, with the Journey floor plan offering a third car garage option. Several of the homes allow for 2- or 3-bedroom layouts, and preferences for bathroom features are available on all floor plans. Those who’ve been envisioning a golf cart as their transport of choice around the neighborhood should consider the Voyage floor plan, which includes a golf cart garage. 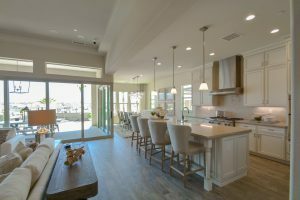 Each home will also allow owners to take advantage of the South California climate with covered patios, a feature of all floor plans, with options for outdoor BBQs, fireplaces, or kitchens varying between the models. With the variety of customization available to future residents, it is likely that each of the estimated 1,026 homes will be unique. As a builder specializing in active adult communities, Del Webb considers constructing a quality home as just the first aspect of the neighborhood building process. The Del Webb brand brings over six decades of experience to the development of active adult communities. With a belief that today’s baby-boomers are engaged, energized, and dynamic residents of their communities, Del Webb strives to build homes and neighborhoods to match. The Del Webb Rancho Mirage neighborhood will be the third Del Webb community, designed for pre-retirement and retired adults in the Coachella Valley. The first, Sun City Palm Desert, officially entered the local real estate landscape in 1992; in 2003, Sun City Shadow Hills became the second Del Webb community in the area. 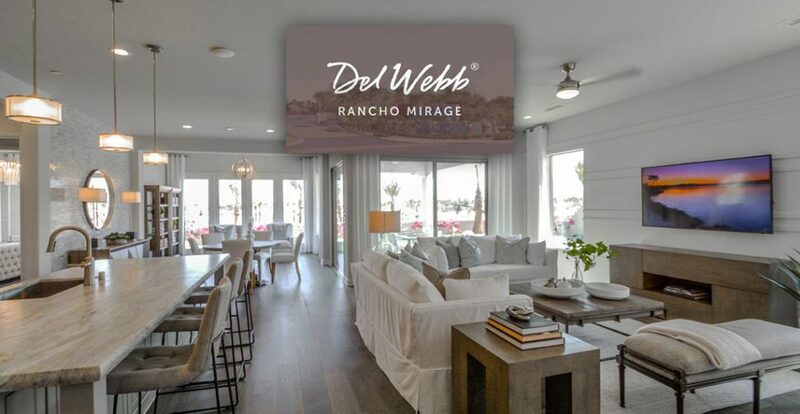 The contemporary Del Webb Rancho Mirage will follow in the footsteps of its predecessors – thriving, engaged neighborhoods – while incorporating the styles and preferences of the today’s consumer. Summer 2018 is slated to be the time that future Del Webb Rancho Mirage residents and their neighbors can see the awaited community begin construction. 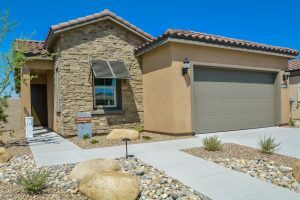 Just as with past Del Webb developments, this neighborhood is slated to become a desirable community for Coachella Valley homebuyers in the 55 and older age group. 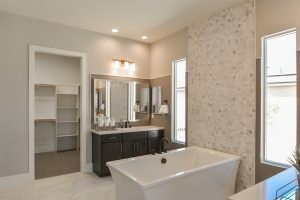 Just as each house will become a home when residents begin to settle in, the subdivision itself will grow into a connected community through the amenities and activities that have become the cornerstone of all Del Webb developments. Del Webb Rancho Mirage will feature an exclusive clubhouse complex. The complex is designed to include: outdoor and covered pools, a fitness facility, billiards, aerobics rooms, tennis courts, and pickleball and bocce courts. Multi-purpose rooms in the complex will be flexible spaces utilized for the residents’ various hobbies, events, and social activities. The community residents will enjoy over 6 miles of walking trails throughout the territory. There is no doubt that Del Webb properties are designed with lifestyle in mind. This can be seen in the two current Del Webb communities in the area, as well as countless others throughout the United States. Sun City Palm Desert, for example, boasts over 60 social clubs, including; hiking club, cycling club, book club, travel club, art club, photography club and wine club. 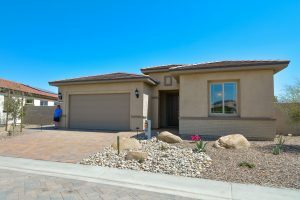 In just the same manner, the community of Del Webb Rancho Mirage is expected to reflect the varied hobbies and interests of its engaged future residents. Del Webb Rancho Mirage will be a premier community situated in a superb location. Spanning over 300 acres on the northeast corner of Dinah Shore Drive and Los Alamos Road, the neighborhood will offer its residents the seclusion of a private resort within short proximity to the area’s best attractions. 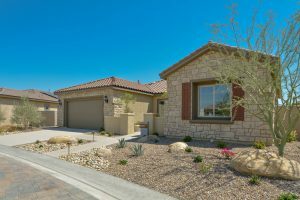 The area is home to numerous public and private golf courses, including those in the nearby Del Webb communities of Sun City Palm Desert and Sun City Shadow Hills. Agua Caliente Casino Resort & Spa as well as The Westin Mission Hills Golf Resort & Spa are just outside the Del Webb Rancho Mirage’s gates, offering a variety of entertainment and service opportunities. Residents of Del Webb Rancho Mirage will enjoy the convenience of being centrally located between two local destinations, Palm Springs and Palm Desert, each just a few, palm-lined, miles away. Palm Springs is a popular destination well known for its hot springs, spas, and well-preserved midcentury-modern architecture. Here, residents can enjoy hunting for vintage or antique items at the various dealers throughout the city or opting for more modern décor from design studios and art galleries. Palm Desert offers world-class entertainment at the McCallum Theater, a preforming arts center that is well respected among audiences and entertainers. The theater hosts a broad assortment of shows and concerts each season. The College of the Desert Street Fair, another Palm Desert favorite, allows visitors to shop for artisanal goods, home goods, fashion, a farmer’s market goods, gourmet food, and more. The Street Fair is open-air but shaded – an ideal Coachella Valley weekend morning experience. Palm Desert is also known for its El Paseo shopping district. The district is a mixture of art galleries, public art displays, restaurants, and niche vendors, all accentuated by high-end fashion retailers. Both cities, as well as the surrounding areas, host a variety of festivals and cultural events throughout the year.